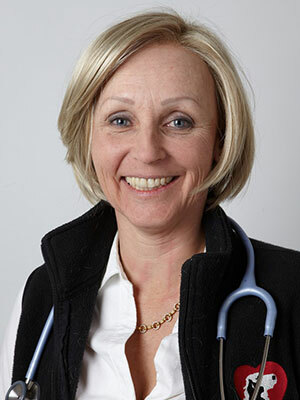 Dr. Berger first obtained her veterinary degree in 1991 in Zurich, Switzerland. She moved to Davis, California in 1998, where she completed her residency in veterinary behavior and attained board certification with the American College for Veterinary Behaviorists from UC Davis in 2007. In 2014, she attained board certification from the American College of Animal Welfare. She has been with the SPCA as Director of Behavior Resources where she oversees all aspects of behavior within the Society since 2011. Her advanced training and certifications associated with Board Certified status ensure the highest level of expertise.<br><br>When behavior problems are addressed early-on, the likelihood for a 'happily ever after' relationship increases and animals are at a lower risk of being surrendered to a shelter.<br><br>Dr. Berger and her life partner Jeff live in Vacaville, CA with their dogs, cats, horses, sheep and chickens. Her hobbies include trail riding, hiking, (heli) skiing, and (red) wine tasting. Body language, behavior, and vocalizations are key elements to understanding our canine friends, patients and shelter animals. We have to improve our knowledge continuously in order to communicate with each other. It is helpful to have a dictionary when learning a new and different language.